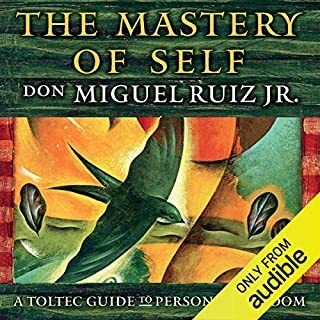 Auteur(s): don Miguel Ruiz Jr. I'm flabbergasted by this book. Everyone should read it for their personal development. I will listen to it again and again! This book was absolutely outstanding. I listen to it multiple times and always get something different and inspiring. The imagery and way he writes are like non other. I have PTSD, non epileptic seizures and am in a wheelchair. Life has only been this way for me for the last 2 years. I was an avid reader prior to injury but can no longer focus long enough to get through a chapter. 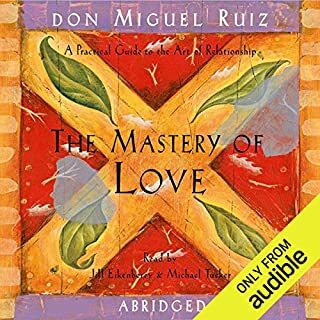 Audible has given me a way to get my love of books 📚 back. #Audible1. 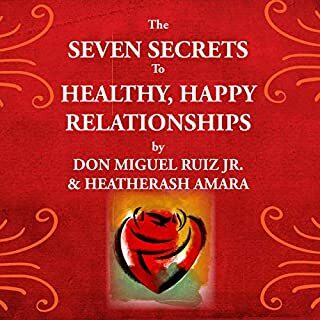 Don Miguel has given me a way to embrace life, see things from a different perspective, accept and be genuinely happy with hope for the here and now. 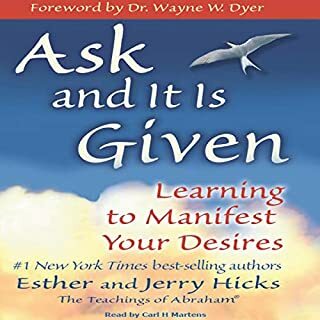 I would recommend this book to anyone regardless of their situation. this is a must-read, for everybody end of story. 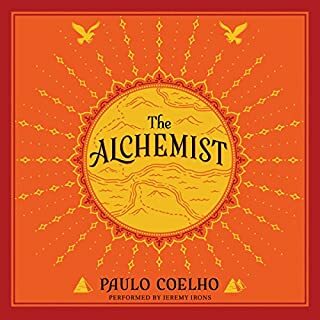 This book is really a life changing one ,once I’ve started listening I couldn’t stop till the end . Loved it. 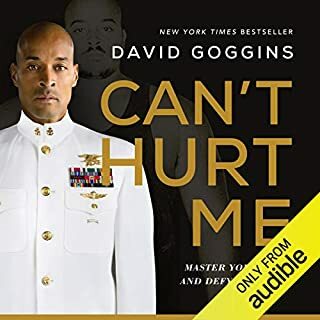 I have a paper copy and have listened 3 times on audible. If everyone in the world read and lived life by these simple agreements we would be so much better off. 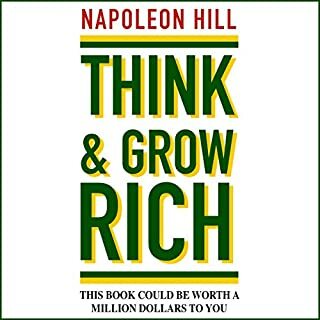 A must read for anyone interested in personal growth and development. A life changing read. 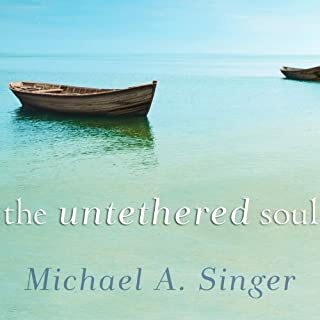 a mind changing book for anyone seeking for a meaningful life . . . .
Ce livre est très agréable à écouter. Il donne la pêche et donne vraiment envie d'appliquer ses principes. J'ai un peu décroché sur la fin, mais ai beaucoup aimé les deux premières parties. Un bon bol de bon sens qu'il fait du bien d'écouter et réécouter pour se sentir mieux en agissant mieux. 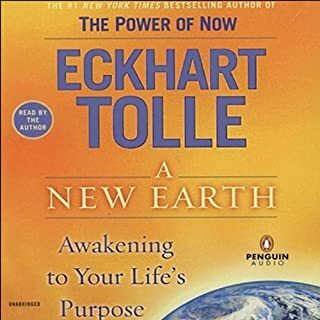 When I first started listening to this, I almost turned it off because it seemed way too "new age" (i.e., spiritual nonsense) for me. I am SO glad I didn't. After the first 2 minutes or so, this book is great. I think this book may have totally changed the way I look at the world. Basically, the author says life is a dream and the way you look at the world will determine if it is a nightmare or an incredible dream. However, rather than using nebulous clich?s like ?just think positive? or ?think big?, he explains how to do it in a much better way than I have ever heard. Some of it you need to take into context, in that, some of what he says might be interpreted as ?I can do no wrong? and ?the rest of the world is messed up but not me?. However, he really says don't beat yourself up over mistakes and just learn from them and move on. Also, he says that people can be way too judgmental (for various reasons which he explains) and you need to be cognizant of this before you accept what they say. 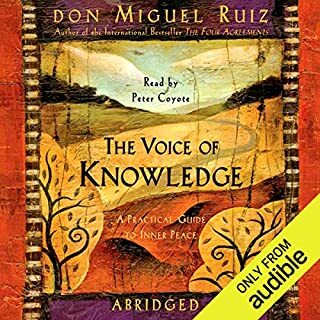 Anyway, BUY THIS AUDIOBOOK!!! It is cheap and it could drastically change the way you look at the world. As an added bonus, Peter Coyote, the narrator, is excellent. Our personal power is based on the agreements we make, and often we make those agreements to please others, rather than being true to ourselves. In doing so, we give away our personal power. The Four Agreements is about taking back our personal power by being authentic and by adhering to our true selves. The four agreements are: 1) Be impeccable in your word, 2) Don't take anything personally, 3) Don't make assumptions, and 4) Always do your best. While simple, these agreements are anything but easy. 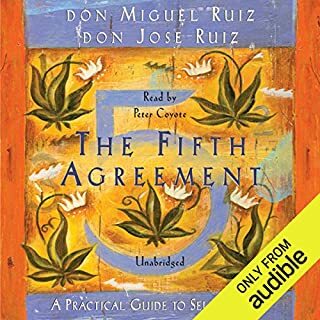 Ruiz encourages readers to practice these agreements everyday and forgive ourselves when we are not perfect. The effort is what's most important. 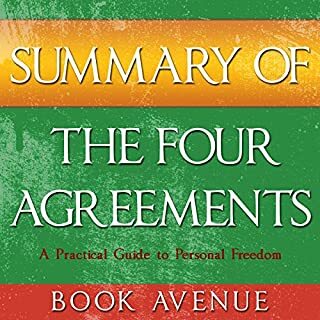 This book is a quick read (or listen) and should be reread repeatedly if you truly desire to keep your agreements with yourself. I've had this book for years but could not get past the first several pages. I tried it as an audio book with much more success. 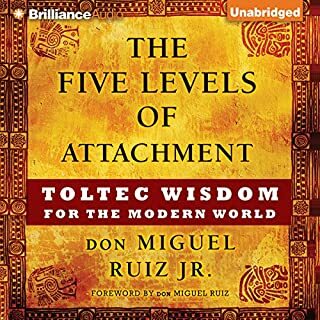 I truly appreciate this book and the lessons within. It's a good read, I reccommend it. Be ready to make connections to your upbringing! If you could sum up The Four Agreements in three words, what would they be? The connections I made to the things I couldn't verbalize about my childhood. Associating and letting go of things I couldn't understand. What about Peter Coyote’s performance did you like? How helped me understand that my mother was only able to do the best she could with the seeds she was given to grow. You can grow juicy sweet cantaloupes when all you were given were kale seeds to grow. Don't know much about gardening but that's the best analogy I can make. To let go of my past and embrace all that I can be because I am in control of myself. Want to change your existence? If you can keep an open mind and let go of all the hangups that you know of and listen to the story, you could get the power to finally get freedom in your life. And true freedom, the freedom that brings a chance for everlasting happiness. It comes a price though, and it comes with work: forgiveness, letting go of the past, getting rid of our victimhood and anger, and be willing to live in the ever present. But from this little person's humble perspective, it is so very worth it. Plus, Peter Coyote has one of the best reading voices of all time and he reads this book as if speaking into my soul. 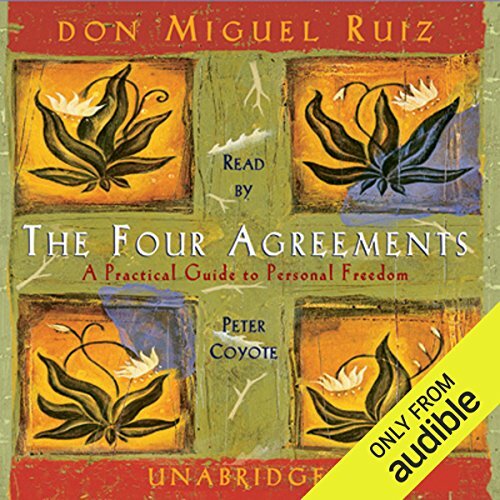 the concept is simple, the four agreements are understandable, the results are unarguable... however, the disciplined practice of awareness and action is a monumental challenge...not because it's complicated, but monumental to accomplish because it requires a complete re-writing of your deepest engrained thoughts & actions. Constant presence of mind and persistent focus will begin to untangle the lifetime of unhealthy conditioning we've all become comfortable with. I am so glad I picked up this book! My life had fallen off track, lost in a huge slump of depression. 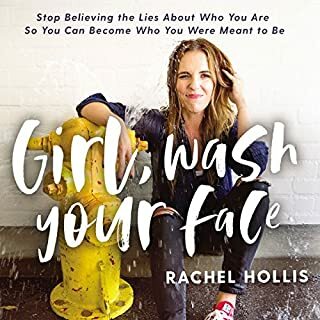 The message in this book helped me rise above my own harsh criticism and stop being the victim. 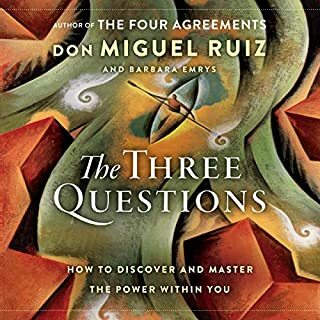 Now I focus on each day, being the very best I can be without judging myself, always striving to keep each of the very important four agreements. This is one of the few books that made me reevaulate some of my beliefs. 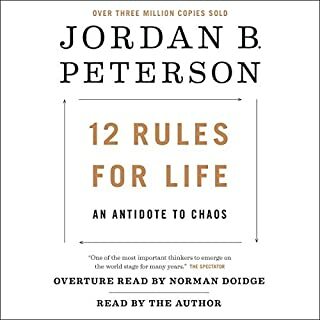 I'm not a changed man after 1 listen, but the ideas and advice within this book really struck home for me. 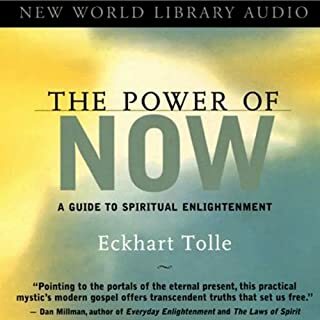 If you enjoyed "The Power of Now" by Ekhart Tolle, you probably won't be disappointed here. 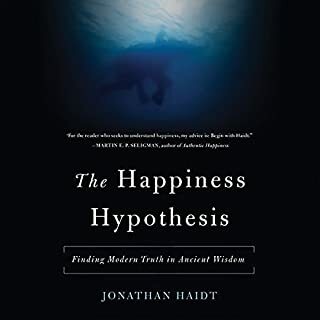 I recommend this book for anyone interested in neuroscience, or how the mind truly controls our actions and outcomes. Amazing read! Great philosophy. Outstanding narration. Very relaxing to listen to. It teaches how we're one with the universe. It helps you to calm down from our everyday stress and troubles by focusing on what you can do to be a better person, instead of worrying for the things that are out of your control.